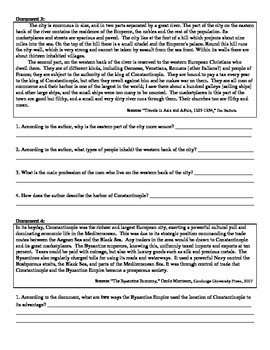 Resource includes four primary and secondary sources about the role of Constantinople in the Byzantine Empire. The emphasis is on how Constantinople's location made a strategic military and economic asset to the Byzantine Empire. 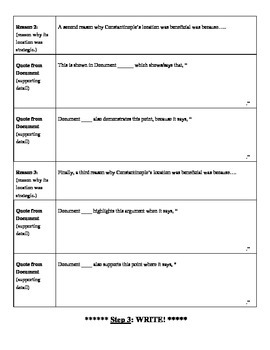 Include a page for brainstorming, outlining, and sentence starters for writing. 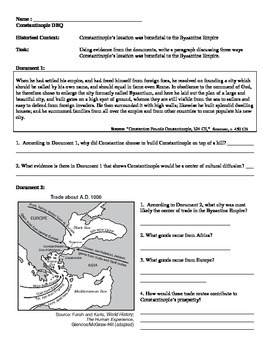 This resource was originally taught to a 9th grade world history course, and is great for students who are just starting to write DBQs.